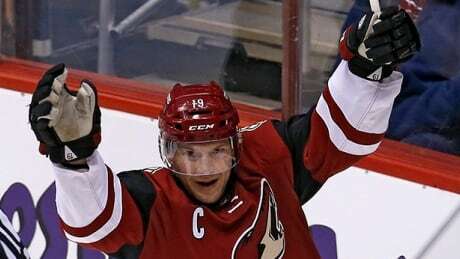 Shane Doan scored twice and passed Hall of Famer Dale Hawerchuk for the franchise career goals record and the Arizona Coyotes beat the Winnipeg Jets 4-2 on Thursday night. 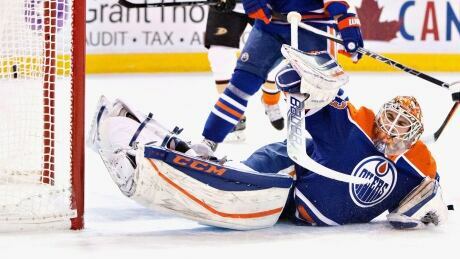 John Gibson made 21 saves to record his second consecutive shutout and fourth of the season as the Anaheim Ducks extended their winning streak to three games with a 1-0 victory over the Edmonton Oilers on Thursday. 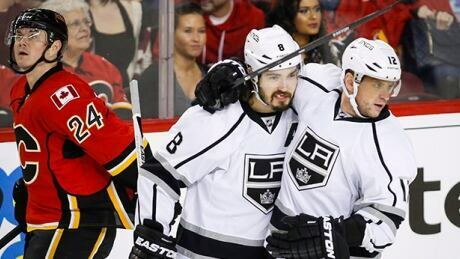 Three Canadian NHL teams were in action on Thursday night. Here's a quick look at how they fared. 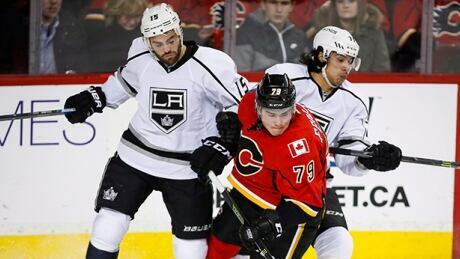 Milan Lucic scored the winner as the Los Angeles Kings wrapped up a perfect four-game road trip Thursday night with a 4-1 victory over the Calgary Flames. The Los Angeles Dodgers have agreed terms with Japanese right-hander Kenta Maeda, multiple media outlets reported on Thursday, as the team continues to fill the void left by the departure of Zack Greinke. The two-time national rugby league Player of the Year, without any football experience of any kind at any level, earned his first career start in last weekend's loss at Detroit. Then he'll jump on a plane for home, catch up with family and friends, relax by the ocean and set a training schedule designed to get him ready for a second season with the 49ers. After spending nine years playing professional rugby, the 27-year-old Hayne decided to give football a try. Much has been written about the flashy, big-play offense of the Arizona Cardinals. The defense goes into Sunday's regular-season finale against Seattle after a dominant performance against Green Bay last weekend. The Cardinals sacked Aaron Rodgers eight times en route to a 38-8 victory that clinched a first-round playoff bye. Rob Boras isn't looking at St. Louis' final regular-season game as an audition - even though that's exactly what it is in many ways. The Rams have been playing their best offense of the year over the past month since Boras assumed the play-calling duties. Of more concern to Boras is sustaining the momentum that the Rams have built during their three-game winning streak. The Seattle Seahawks' last trip to Glendale, Arizona, is not a popular conversation topic inside the locker room. For the first time since the heartbreak of the Super Bowl in February, the Seahawks will return to University of Phoenix Stadium on Sunday to take on the Arizona Cardinals. Quarterback Russell Wilson, who made the fateful throw from the 1-yard line that was intercepted by Malcolm Butler in the closing seconds and clinched the Patriots' victory, is the only one who has been open about looking forward to being back there this week. You are currently browsing the Sportspool.com Sports News blog archives for December, 2015.